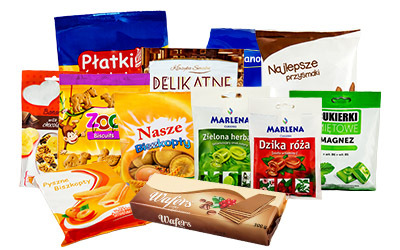 Flow pack film packaging are often used in many industries. Thanks to full automation of the packaging process flow packs are the perfect solution for companies producing a variety of articles on a wide scale. F1 – Flow-pack plastic film bag, without tucks, with a bottom seal (1,5cm) and a middle rear seal. 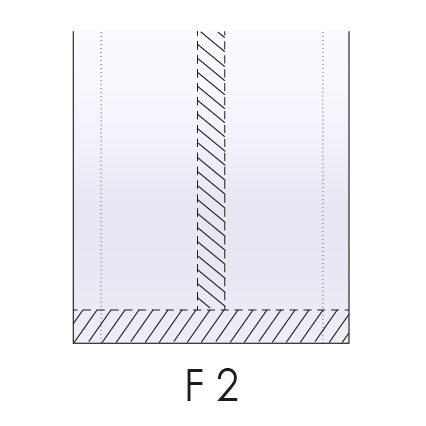 F2 – Flow-pack plastic film bag, with tucks, with a bottom seal (1,5cm) and a middle rear seal. 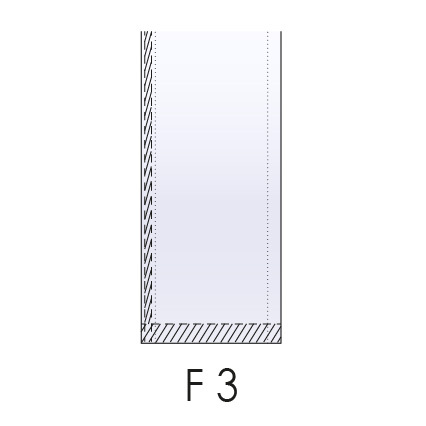 F3 – Plastic film bag with a rear/middle or shifted seal (e.g. for pasta, salt-sticks).